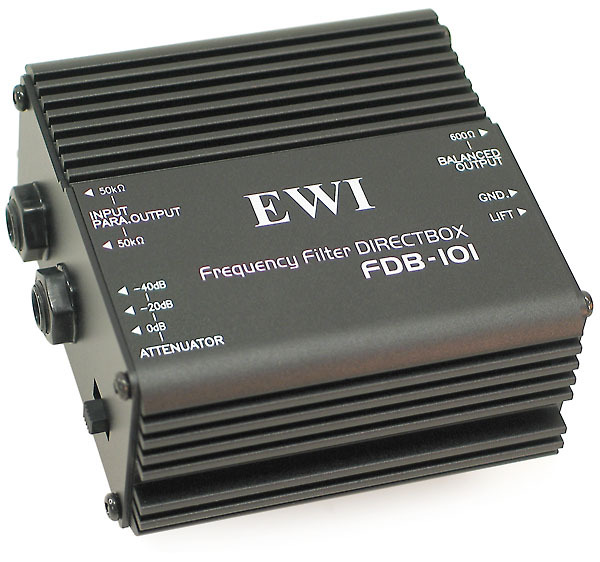 The EWI FDB-101 is a single channel passive (non powered) D.I. box. 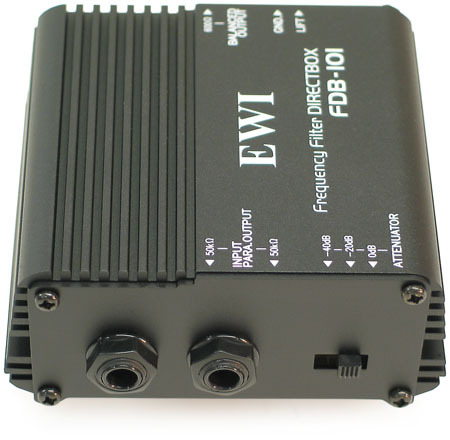 This is a good (for the money), basic passive DI box, suitable for electric guitars, electric pianos, and other electric instruments capable of delivering a reasonably hot signal to the DI. This	DI is equipped with the usual 1/4" phone jacks for in and out, and the male XLR send. Additional features include: A 0dB, -20dB, -40dB pad, and a switchable ground lift. The box itself is made from heavy duty extruded aluminum. The cord jacks are plastic. The switches are light-duty slide switches. The internal splitting transformer used in the FDB-101 is good quality and is a key feature of the FDB-101. The quality of the internal splitting transformer is the key to a good performing D.I. Box. 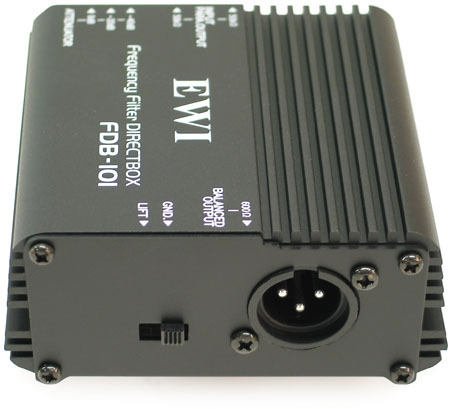 The transformers used in the EWI FDB-101 are manufactured to strict EWI tolerances designed specifically for this application.